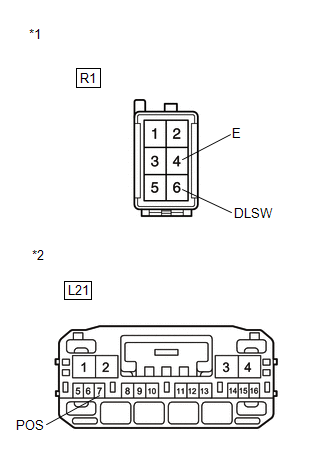 The power back door ECU (power back door motor unit)*1 or back door closer ECU (multiplex network door ECU)*2 receives signals from the latch switch, sector switch and back door courtesy switch, which are built into the back door lock. 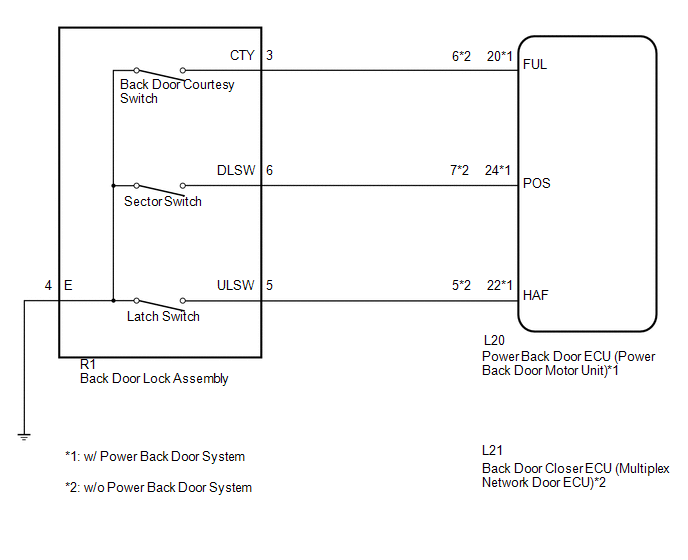 Based on these switch signals, the latch position of the back door lock is determined. While the back door closer is operating, a malfunction is detected in position information from the sector switch within a specified amount of time.